Missouri Red Cross personnel are responding to the devastating floods in Louisiana. So far, the relief group’s deployed 12 people and four emergency response vehicles from the state’s eastern region. They’re helping to provide emergency shelter and meals for what the Red Cross is calling “the worst natural disaster to strike the United States since Superstorm Sandy”. By comparison, last winter’s floods in St. Louis reached a level 4 designation. The Joplin tornado was a level 5. 11,000 people stayed in Louisiana Red Cross shelters Tuesday night. 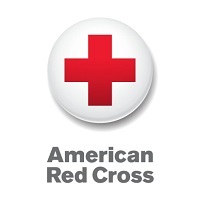 The eastern Missouri Red Cross is also assisting people who can’t get to shelters or won’t leave their homes. It’s sent three emergency response vehicles equipped with mobile feeding units which can each serve 1,300 people. The vehicles have loudspeakers to inform residents of their arrival. The Red Cross typically provides safety-net services at the beginning of disasters before a partner agency such as the United Way steps in to handle long term aid. But Griffith says the group will stay as long as it takes to help people initially get back on their feet, whether its weeks or months.